Ted Hughes was one of the greatest poets of the 20th century. 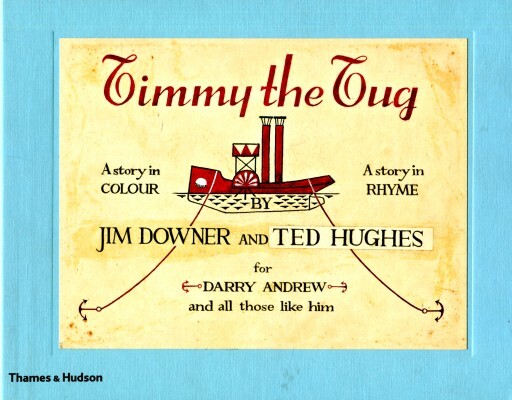 Now, over ten years after his death, Thames & Hudson is publishing a children's poem by him that had been lost for over fifty years.Written in the mid-1950s to accompany his friend Jim Downer's story about Timmy the Tug, the poem recounts Timmy's escape from his moorings and subsequent adventures on the high seas. Downer's illustrations are a charming focus to this enchanting tale that, besides appealing to children everywhere, is set to be one of the biggest literary events of the year.